You might have noticed a kind of message box with a warning “Windows needs your Permission to continue” opening up when we install or remove applications from Windows Vista or Windows 7. This is known as Windows UAC or User Account Control. It prevents automatic installation of applications and thereby avoids malware infections to an extend. Although it’s useful, some people may find UAC annoying and unwanted. 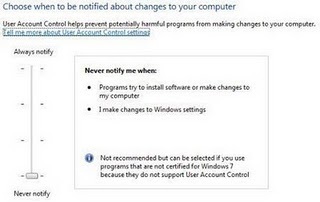 We can disable or Turn Off UAC in Windows Vista or Windows 7 using the following method. 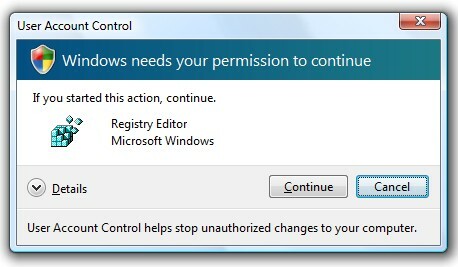 This is probably the easiest method to turn off user account control in Windows Vista . Just go to your control panel from start menu and select user accounts. 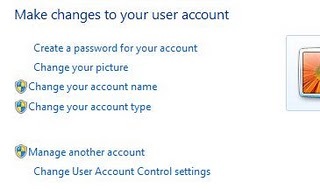 From Make changes to your user account, select Turn User Account Control ON or OFF. Windows will ask your permission to continue. Now uncheck “Use User account Control (UAC) to protect your computer” and restart . In Windows 7, User Account Control comes with customizable slider. It can be accessed in the similar way that we used in Windows Vista. Click on change User Account Control settings as shown above. There are different settings for this sliding bar, from Always notify to Never notify. Set the slider to Never notify to Turn off UAC in Windows 7. Please make sure that you use a good antivirus software if you are planning to disable UAC from Windows.